VW Planning 10-Year Comeback for the U.S.
Strategy includes -- what else -- more SUVs. 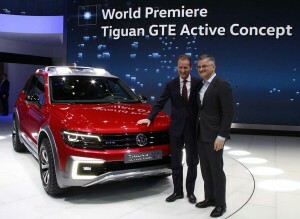 VW CEO Herbert Diess and former US chief Michael Horn at the unveiling of the new Tiguan. Nearly two years after Volkswagen admitted rigging the diesel engines on 11 million vehicles to illegally pass emissions tests, top company officials have laid out a series of steps they hope will help rebuild both trust and demand in markets around the world, notably in the U.S., where the diesel scam cover-up first was revealed. 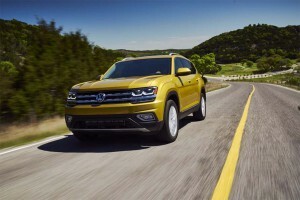 Special discounts of up to $9,000 will be offered to get current diesel owners in Europe to trade back in on another VW model, while the German automaker said it will expand its array of SUVs coming to the ute-crazed American market, senior officials said, following a VW board meeting at the company’s plant in Chattanooga, TN. The choice of holding the board meeting in the U.S. was likely no random decision. Once the biggest foreign nameplate in the American market, Volkswagen has struggled in recent decades. Leading up to the Great Recession it started rebuilding but failed to gain momentum during the recovery. The revelations that the brand had cheated on emissions tests didn’t help, nor did the fact that it could no longer market in the States the diesel models that had been generating almost one in five VW sales. 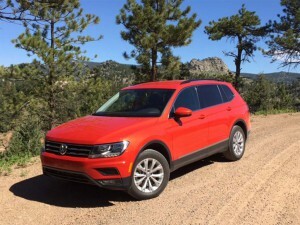 Complicating matters, VW had only two SUVs to offer American motorists, the big and high-priced Touareg, and the cheaper, compact Tiguan. Even an all-new version of the Golf hatchback couldn’t offset that hole in the line-up. 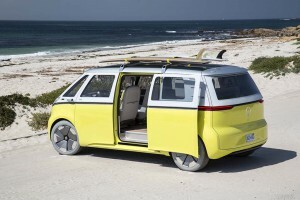 VW is starting to rebalance the line-up. While the slow-selling Touareg is going away for 2018, it will be replaced by the more affordable, three-row Atlas model. Officials told reporters Thursday evening that production has already risen to 400 a day and noted they will increase that, as needed, to meet demand. To handle production of the Atlas, VW nearly doubled the size of the original, $1 billion Chattanooga plant, and that gives capacity to more than double daily output of Atlas, or even add production of another ute, something now widely expected. Meanwhile, VW also will expand its presence in the lower end of the SUV market. It has launched an all-new and larger version of the Tiguan for the 2018 model-year, and it has decided to indefinitely extend production of the older, smaller SUV which will now target entry-level buyers. Even without diesels in its American line-up, VW is showing new energy in the world’s second-largest automotive market. The brand today reported August sales were up 9% year-over-year, with demand for the first eight months of 2017 gaining 6.4 percent. That said, VW is nowhere close to a pace that would let it reach the U.S. target of 800,000 vehicles annually that it had set for 2018 when laying out global plans immediately before the recession. The new Tiguan is larger and more lavishly equipped than the "classic" model. Worldwide, VW plans to have 19 different SUV and crossover models in its portfolio by 2020, and the U.S. is all but certain to see more of those in the maker’s line-up. Hinrich Woebcken, CEO of Volkswagen of America, said a fourth ute is already in the works. Overall, Woebcken said VW “wants to deliver,” and is committed to adding two new or completely redesigned models for the U.S. each year. The diesel scandal has been a costly blow for the carmaker, resulting in nearly $30 billion in fines, penalties and other costs so far. That includes as much as $10 billion that will be spent to buy back some of the vehicles using 2.0- and 3.0-liter turbodiesels sold in the U.S. In other markets, VW has now announced a series of recalls to update diesel models but has not authorized buybacks. But, on Thursday, the company did announce it will offer incentives of up to nearly $10,000 in some parts of Europe, notably the UK, to get consumers to remain with the brand. Volkswagen confirmed rumors it's bringing the I.D. 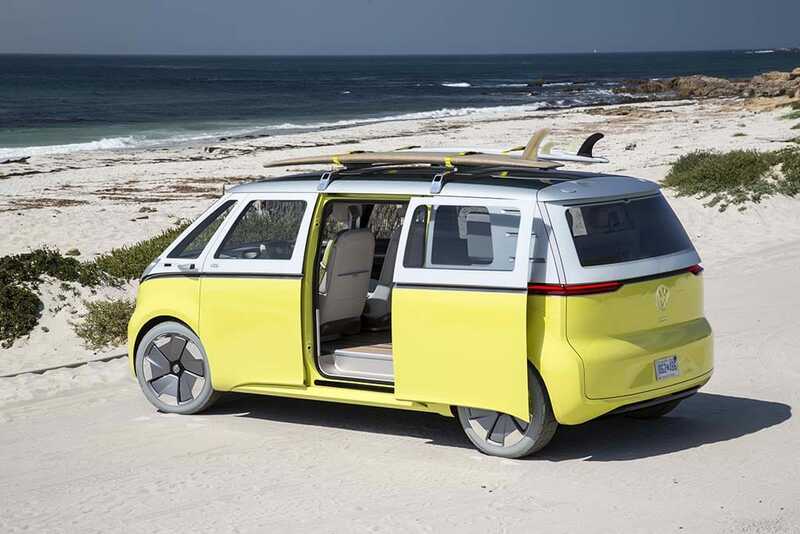 Buzz, better known as the Microbus EV, to market. The U.S. isn’t the only market where VW has begun to rebound. And the entire Volkswagen Group, including upscale brands like Audi and Bentley, as well as mainstream Skoda and Seat, expects full-year 2017 revenues to rise more than 4 percent. Profits during the second quarter more than doubled, to €4.55 billion, or $5.42 billion, up from €1.9 billion the year before. But VW’s troubles are by no means over, as was demonstrated earlier this week by a broad shake-up among senior managers at the Audi division. That included the brand’s finance, production, sales and human resources directors, though Audi CEO Rupert Stadler retained his post. An Audi manager linked to the diesel scam was arrested in Germany this past month, and authorities there continue to investigate, something that could yet lead to other indictments. In the U.S., meanwhile, the first VW employee to plead guilty in the diesel scandal was this month sentenced to four years in prison, longer than prosecutors had asked for. A second manager is also planning to plead guilty. This entry was posted on Friday, September 1st, 2017 at and is filed under Automobiles. You can follow any responses to this entry through the RSS 2.0 feed. Both comments and pings are currently closed.